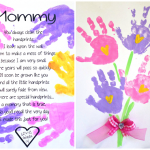 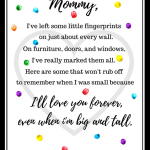 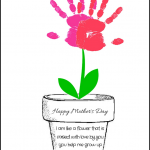 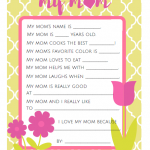 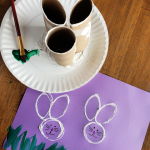 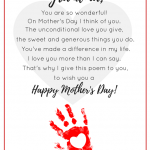 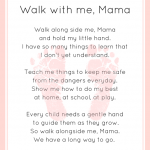 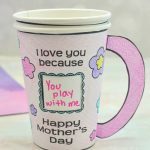 Download this free footprint butterfly Mother’s Day poem printable to give to mom on Mother’s Day! 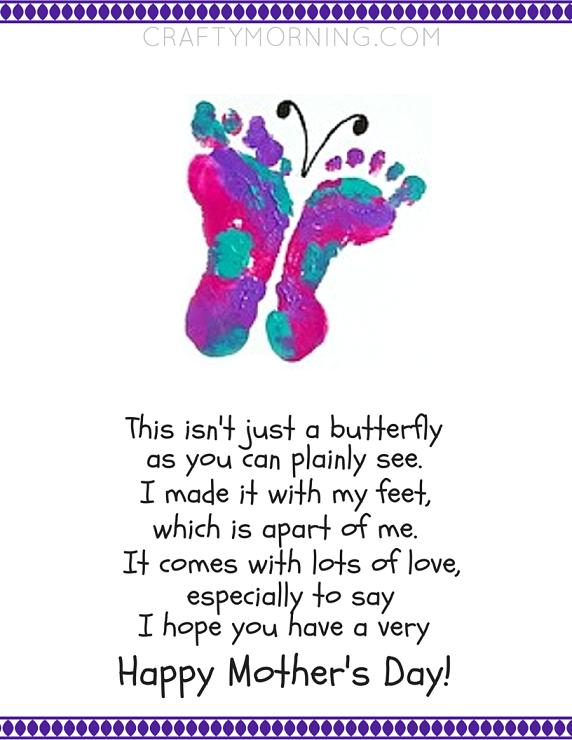 Just print it off then paint your child’s foot and have them press them on paper (facing OUTWARDS!) 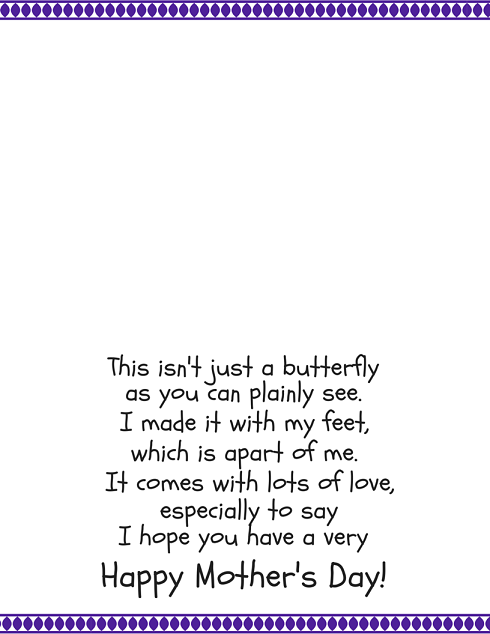 then with a black sharpie make antennas.